This section describes how the text message string of the TextView gets redefined in the resource file, main.xml. 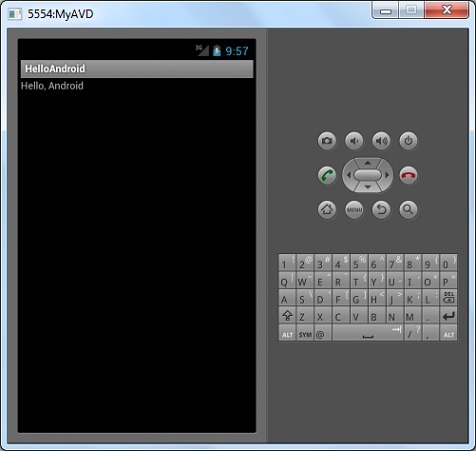 This tutorial was based on Android SDK R17 with Android 4.0.3 and left here as a reference. In the previous tutorial, I noticed that the text message string defined the Java source file gets redefined by the resource file. Now I want to modify the resource file and rebuild HelloAnroid to display the original text message. 1. Keep the Android emulator running. Now I am happy. I get the exact test message as entered in the Java source code.